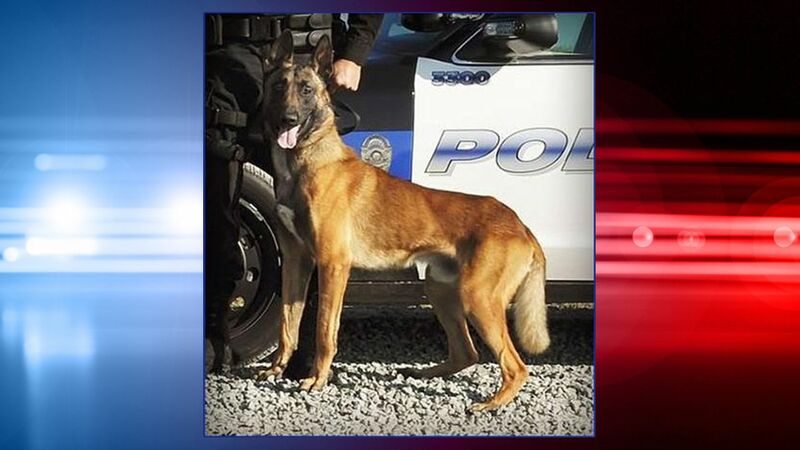 PORTERVILLE, California -- A police department in California announced that K-9 "Idol" died in the back of a Porterville police vehicle on Wednesday after the air conditioner shut off. Police said that Idol's handler placed him in the patrol car with the air conditioning on after a training session to cool him down. After about 1 1/2 hours, the handler returned to find Idol deceased in the back. He said the car was no longer running and the air conditioner was off. The K-9 unit did have a warning system to alert the handler when temperatures in the car became unsafe, but it did not activate. Tulare County Sheriff's Office investigators were not able find out why the car turned off, but they did find the temperature warning system was faulty. Sheriff's investigators said there was no criminal act, and no charges will be filed against the handler. The Porterville Police Department said they are now in the process of refitting all K-9 units with new warning systems and implementing safety procedures.